Shortly after midnight yesterday (23rd November), around 40 students occupied a building at the University of Birmingham, in protest over the Higher Education white paper, and in support of the 30th November strikes next week. 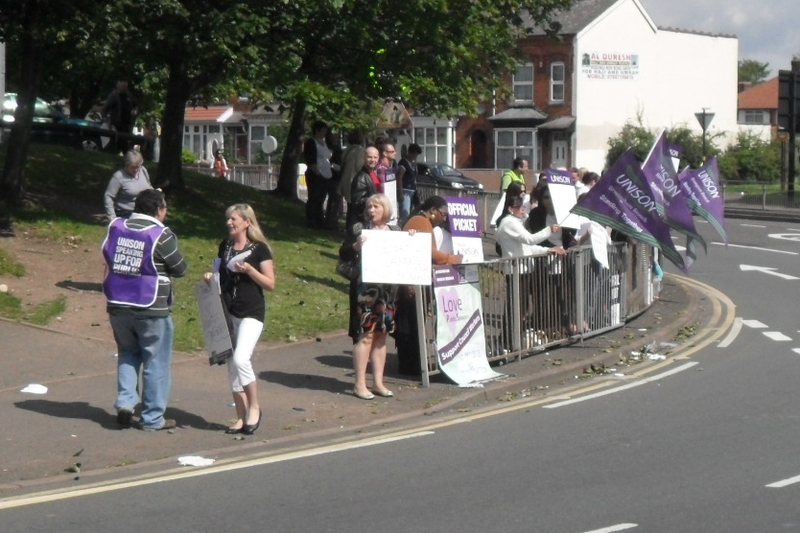 This was part of a national day of action that also saw occupations begin at Warwick University, Royal Holloway, York, Edinburgh and Goldsmiths. Students and Education workers opened up a social centre in Bloomsbury, near the School of African and Oriental Studies (SOAS). Students at Cambridge University disrupted a meeting at which David Willetts, the Higher Education minister, was due to speak. He did not deliver his speech. The students then occupied a lecture theatre at the University. 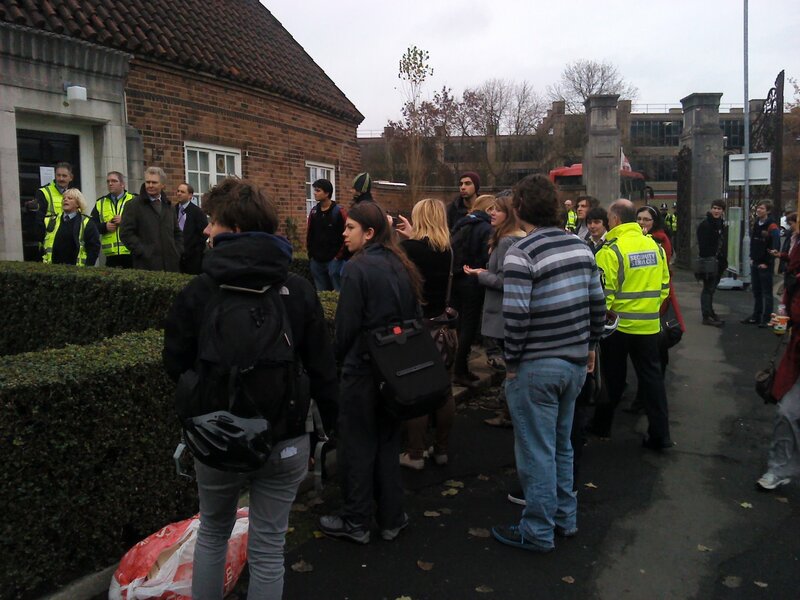 At Birmingham, students occupied the former gatehouse at the North gate, which is not in use, and they are claiming squatters rights. The University has responded by placing a heavy security presence on the building and preventing anyone from entering. Following negotiations between the Guild of Students and the University, the occupiers have been able to receive food, but only if it is delivered by an officer of the Guild. Under squatters rights, the building (if entered freely (ie: without breaking and entering) and secured) is considered their home, and the blockade of the building by the University is potentially illegal, and a similar situation to if your landlord decided to place security outside your house and stop your friends from visiting you. Despite this, the situation has largely remained calm, aside from an incident last night where it is alleged that security tried to drag someone out of a window and punched one of the other occupiers. The University have said that they will get an injunction if the occupiers have not left by 9am this morning. At the time of writing, they are still in the building and are not intending to leave. No legal documents have been received by the occupation as of yet. 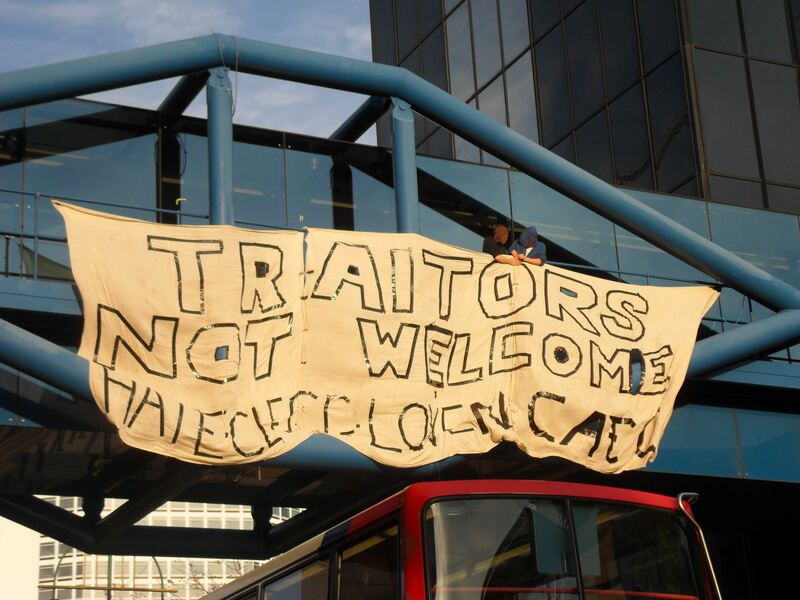 The occupation has issued a set of demands to the University, based around the idea of keeping education as a public good, not turning into a private, profit making enterprise. 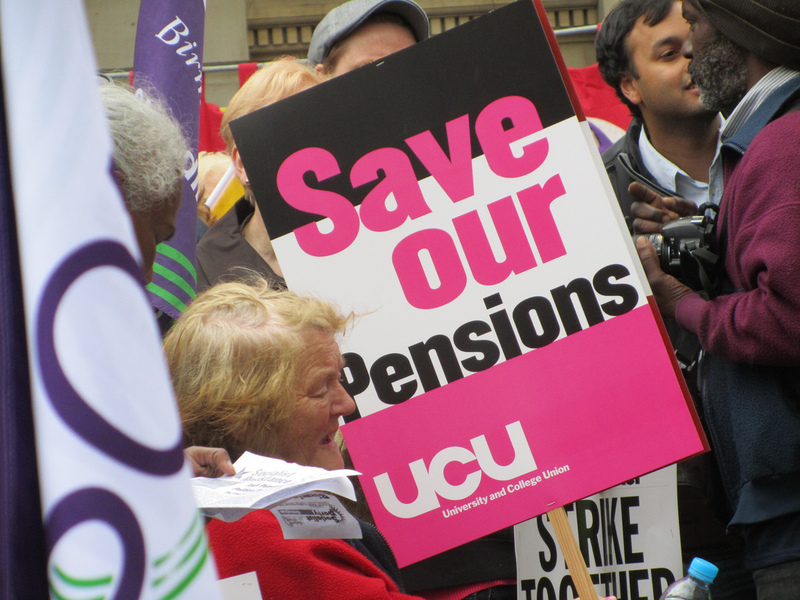 Their demands include no course cuts, and no cuts to jobs, wages or conditions for staff, as well as a public rejection of the white paper and a commitment to keeping the University public. You can read the full set of demands here. 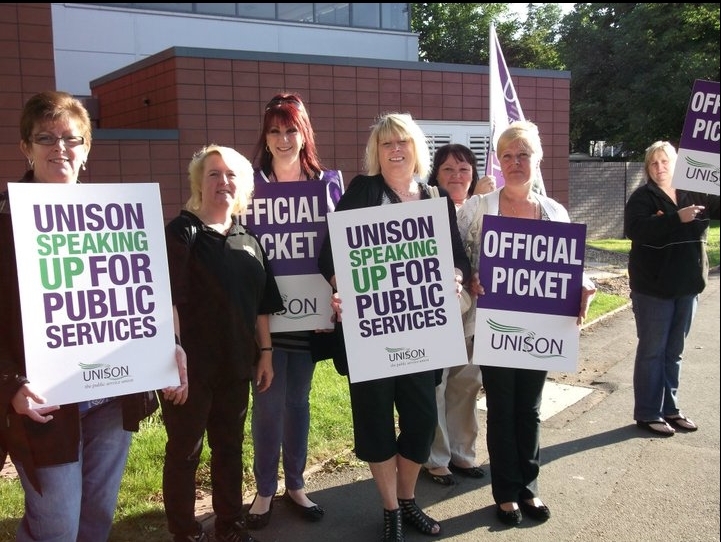 The higher education white paper will increase marketisation in Universities, paving the way for wide-scale privatisation, in a similar way to how we have seen the NHS change over the past 15 years. The changes in the white paper will hit universities with a higher proportion of working class students the hardest, as funding gets withdrawn, whilst elite universities get only small cuts. 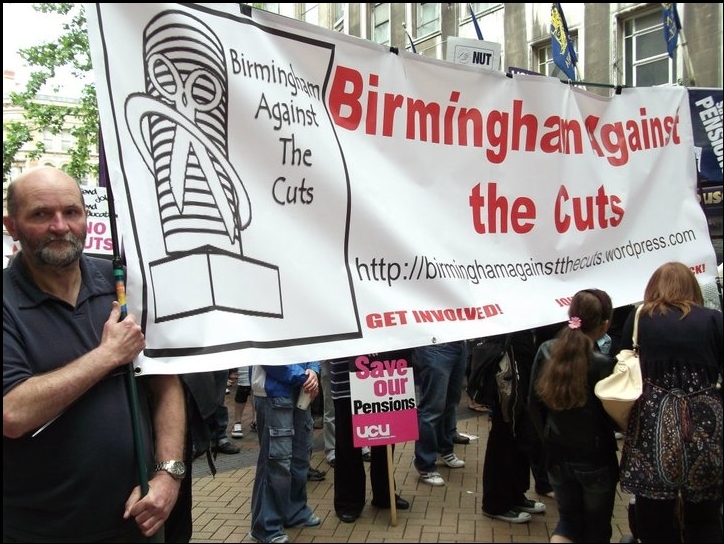 Birmingham City University, with 44% of students from working class backgrounds, is facing the 9th largest funding cuts, whilst places like UCL and Oxford are losing very small sums of money. More detail about the white paper can be found in this post – especially in the video at the bottom of it. 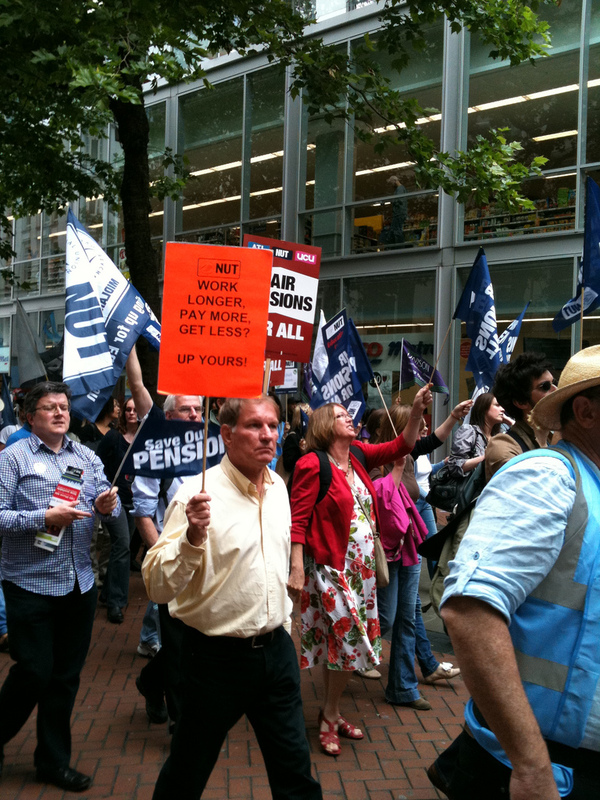 As well as the issue of the potential privatisation of the higher education system, this occupation is intended to build for the 30th November strikes, to show solidarity with lecturers and support staff who will be out to defend their pensions, and to mobilise students to attend pickets and the teach out. 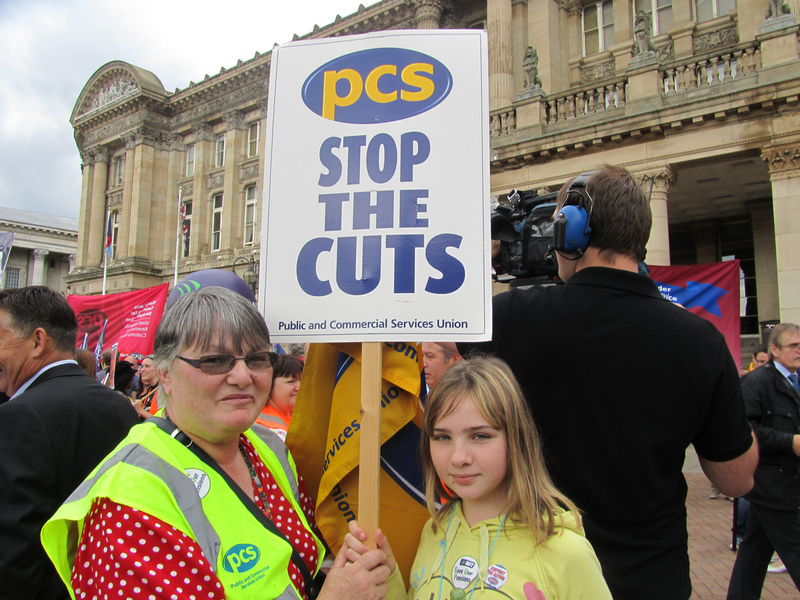 Birmingham Against the Cuts stands in solidarity with the occupation, which is seeking to defend the attacks on our education system that will disproportionately affect average earners, and reduce social mobility. 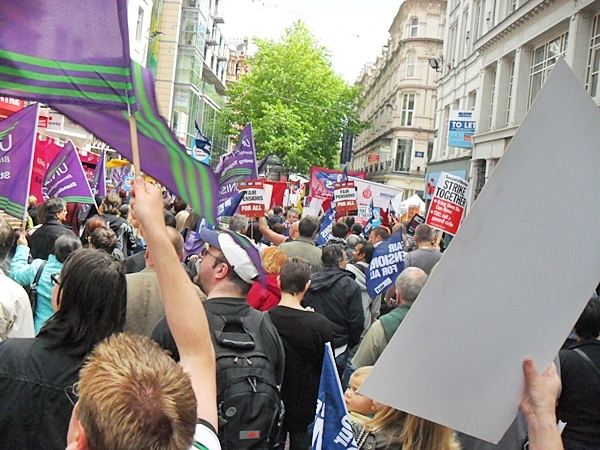 The white paper is the latest in a series of attacks, including the scrapping of EMA, the raising of tuitions fees, the invention of free schools and the increase in academies, which are stripping the public education system and opening it up to private companies directly in the case of free schools, or through the backdoor in the case of the HE white paper. Academies meanwhile reduce the collectivism of the education system by creating individual schools. It will of course be much easier to introduce a marketised system, or hand over schools to private companies, if they are individual units rather than a collectivised system. We have recently seen Circle Health take over an NHS hospital. This will be repeated with private education providers taking over “failing” schools. We call on the university to open access to the occupation whilst legal proceedings are ongoing. We believe that this is not just the legally correct route to take, but also the morally correct decision, as the occupation has been peaceful, and is not causing disruption to students or staff, since the building is not in use. We ask security to stand with the students, and tell the university that they do not feel that they should be preventing access to the building, and that this is not a security issue. We hope to see solidarity between all staff members and students, as the students seek to take action to defend the education system. 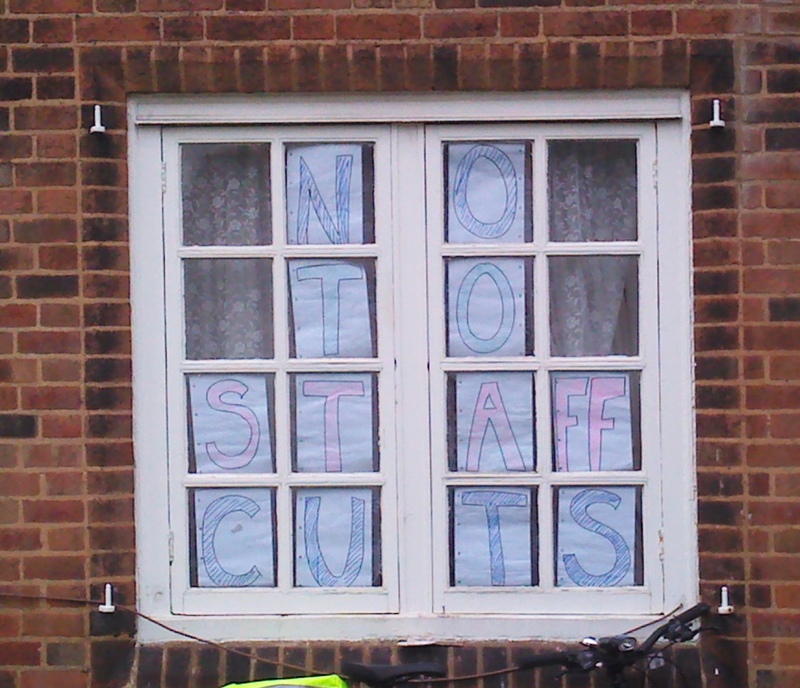 As always it is the management at the university who make the cuts, but never on their own pay packet. 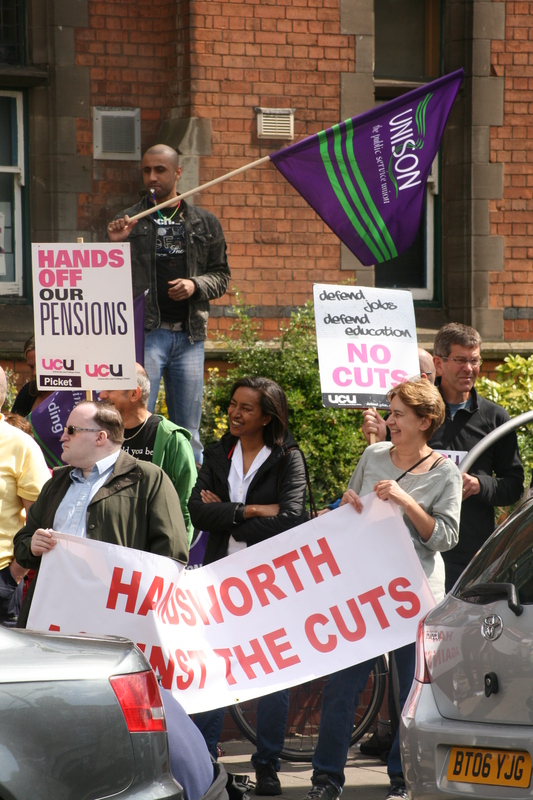 Support staff at the university have accepted real-terms pay cuts this year, but the vice-chancellor saw a 10% pay increase, to £392,000/year (plus a house, car and other benefits). We thank the guild for showing support to the occupation and ensuring that their human rights are met by the University. This shows a marked difference from previous administrations at the guild and hope that it indicates a change in direction that will see the guild seek to resist changes to the education system at the University, rather than simply seek to maintain a seat at the table. You can keep up to date with events by following them on their website, facebook or twitter. Update: The occupation is now ended, as the University got a high court injuction, and were moving to evict. The occupiers all left and none were stopped or had ID taken. This should make it hard for the University to take disciplinary action and we hope that they will not attempt to do so. At our public meeting tonight, a further expression of solidarity was made by the meeting, not knowing that at the same time, the University were moving to end the occupation. This is not just about cuts but about the way the white paper targets cuts and gives new powers to private companies which will essentially lead to two tier system of education in the UK. 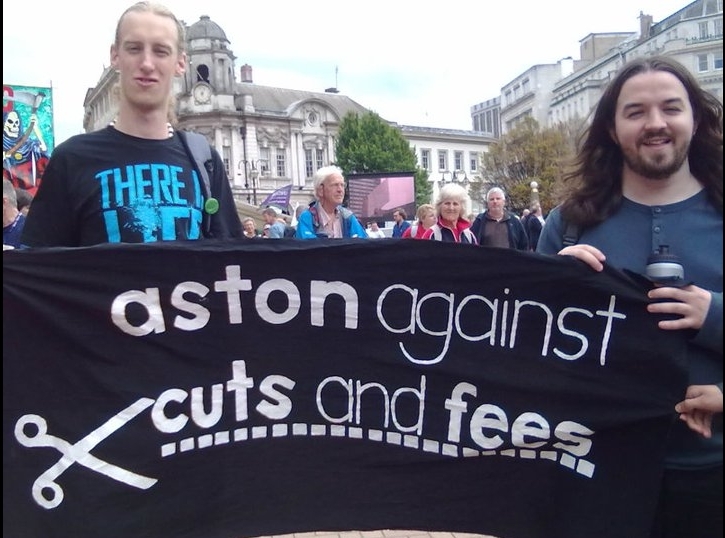 Birmingham City University is on the receiving end of the 9th highest cuts in government funding in the country. The massive cuts are 8 times higher than the cuts at elite institutions like University College London which is receiving minor cuts of only -0.8%, while for universities like the University of Oxford and Imperial University, government funding is actually being increased. 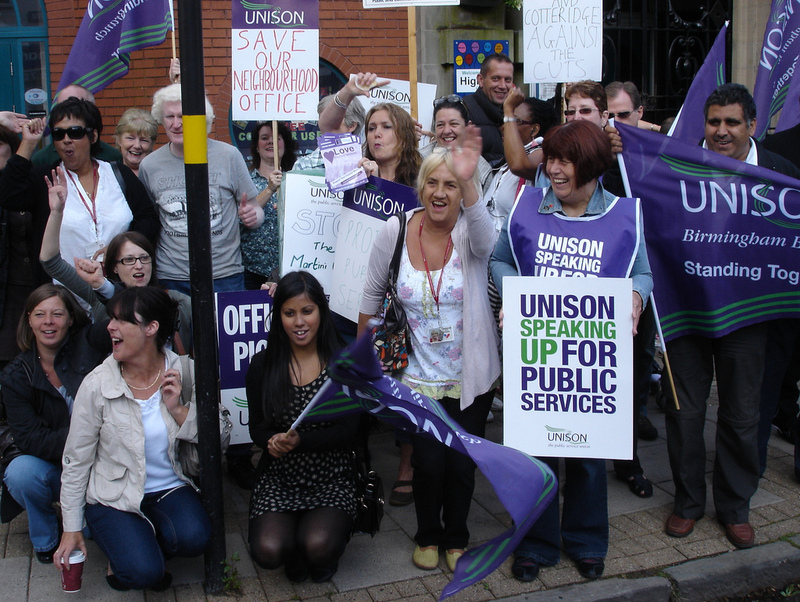 It is institutions that are the most accessible to those from low socioeconomic backgrounds that are being hit hardest. The universities being given the most cuts have high proportions of students from low socioeconomic groups studying in them. 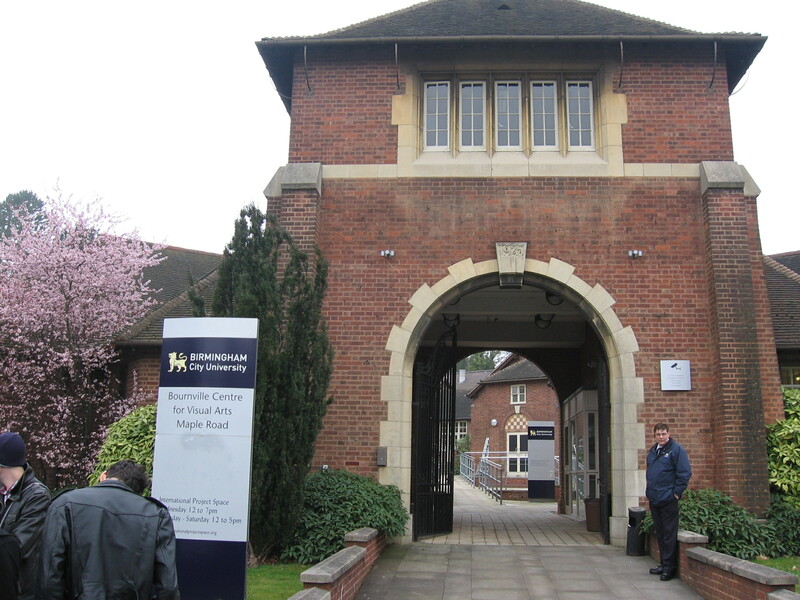 At BCU 44.7% of students come from low socioeconomic groups, while at the University of Oxford 11.4% of students come from low socioeconomic groups. Yet while money is ploughed into Oxford is it is taken out of BCU. 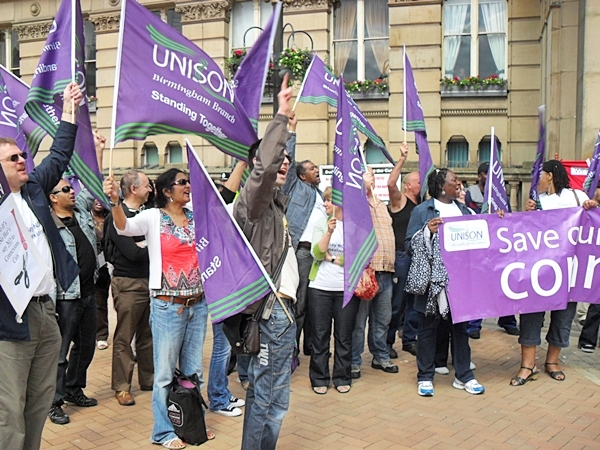 This is not about funding excellence; courses that BCU offer which are the best in country are being cut just the same. School of Media, rated fifth in the UK, is having its budget cut drastically and 30% of staff face redundancy this year. However despite the excellence it is being driven under by a government set on creating a maketised two tier education system. 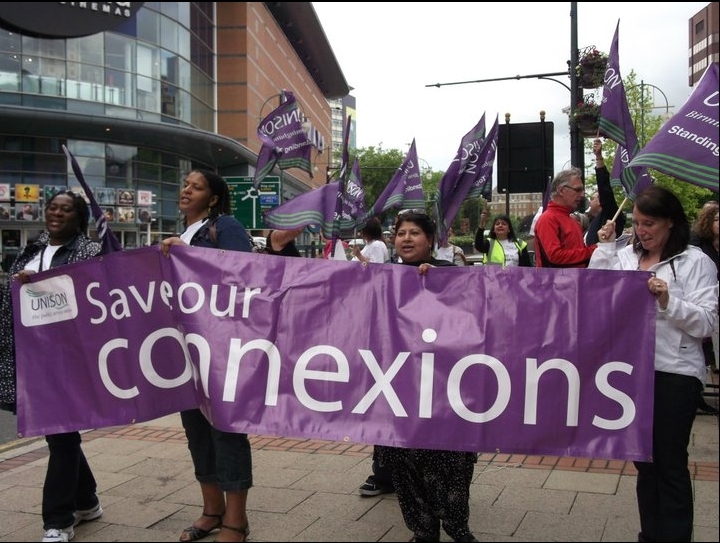 Non-elite institutions like Birmingham City University are being set to fail by the government, so they can be sold off, bought out by private firms to run for profit, in much the same fashion that the NHS has been sold off under Labour and now the Conservatives. 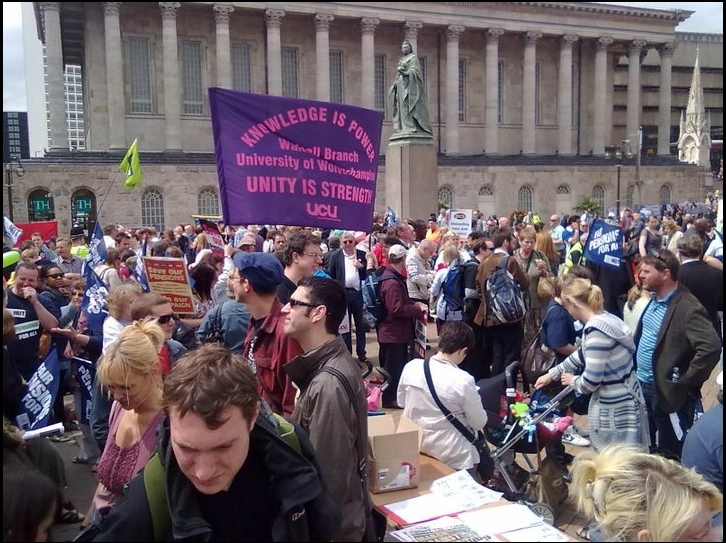 There are sit ins and occupations taking place in most Universities in Birmingham and in nearby Coventry on 23rd November. 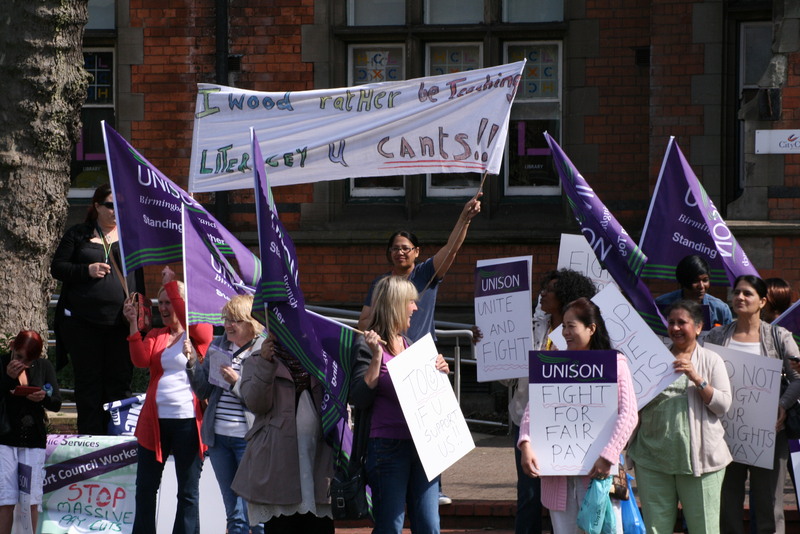 Students will be coming out to support the strikes on the 30th. If you would like to get in touch with students to ask them how you can help them on the 23rd call or text 07988056867. On the day student occupiers may need support to protect them from campus authorities or simply messages of support, whatever you can offer is appreciated. Students of Birmingham! Defend Education! Last year the Tory-Lib Dem government scrapped EMA and raised university tuition fees to £9000, betraying election pledges and effectively pricing many of us out of education. Those who want to go onto masters degrees or doctorates are facing uncapped and rapidly rising fees, at the same time as cuts to what little funding exists to support them. Now the government is attempting to push through a wave of privatisation that threatens to make universities about profit and management, not about students or social justice. Going to uni or getting a decent job will become even more the preserve of the rich. 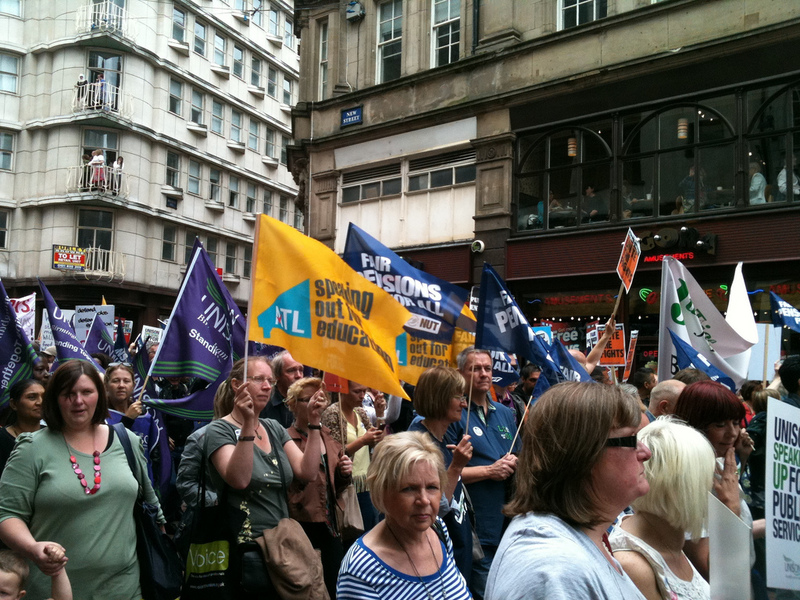 Last year students, pupils and workers fought back with mass protests, strikes and waves of direct action. We were the biggest youth rebellion since the 1960s, and we aren’t going away. Together we can save education and the welfare state. -Undergraduate Fees going up £9000! -Postgraduate fees going up £10,500! -Unaffordable halls , half the money paid in rent taken is in profit in university of Birmingham halls! 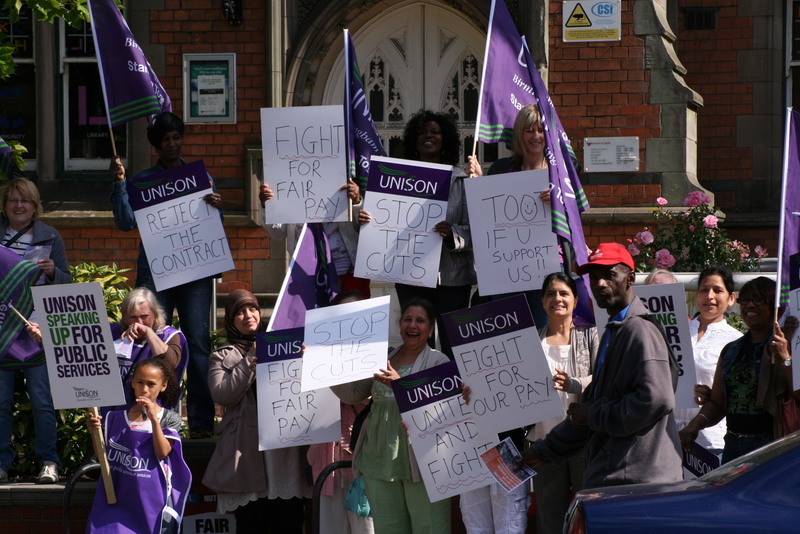 -Massive pay rises for high paid top university mangers, last round every manager got a 11% pay rise! 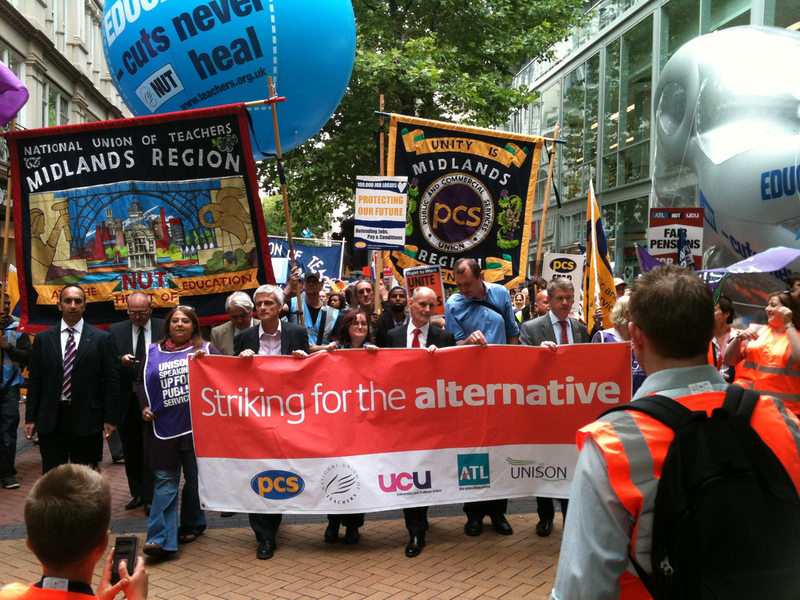 -Cuts to our lecturers, contact hours and our courses, we have already lost 200 jobs. 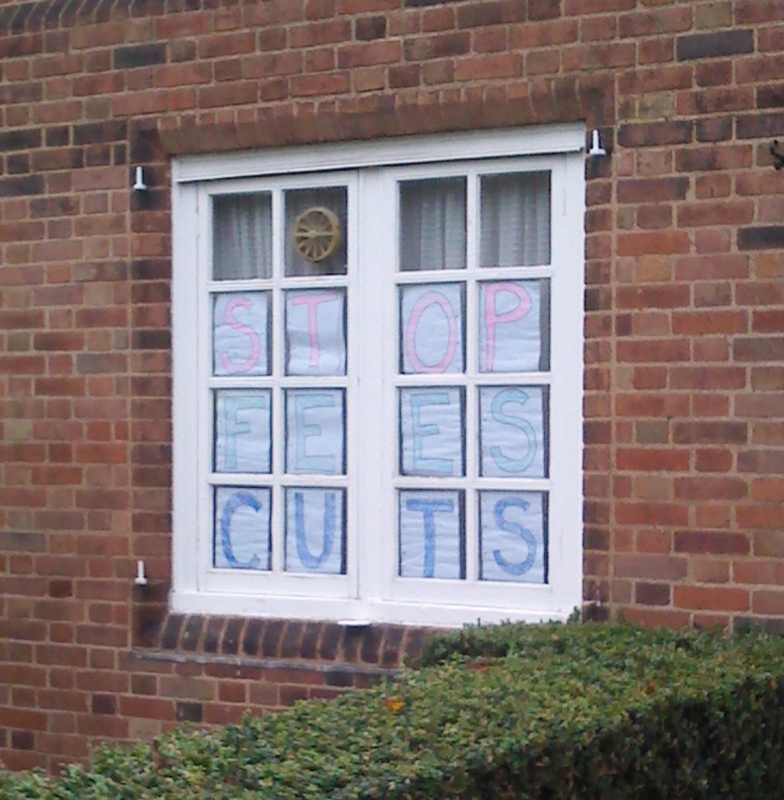 -The University of Birmingham continues to lobby for even higher fees! 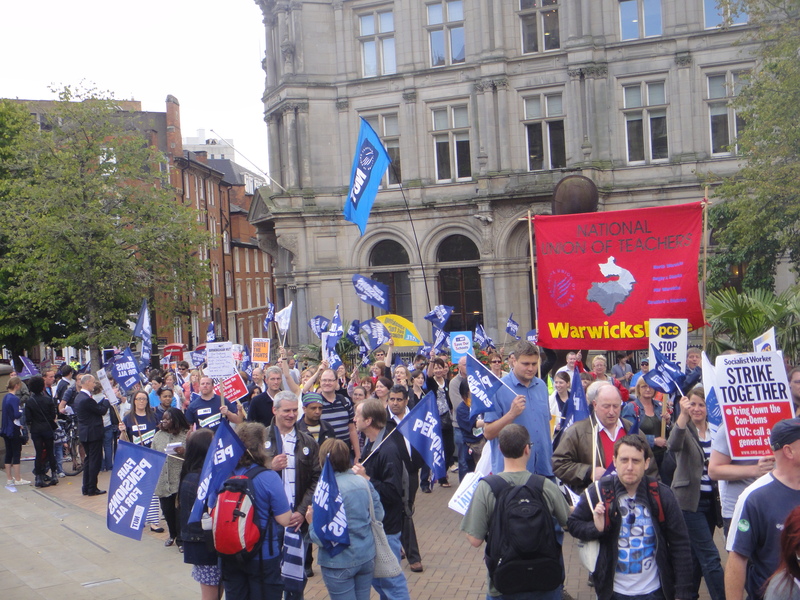 This demonstration builds towards the national demonstration against privatisation on November 9th, coaches are available from Birmingham, click through to the post for details. 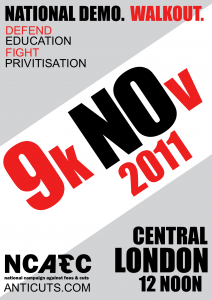 On Wednesday 9th November university and school students will once again take to the streets, one year after the demo that saw an occupation of the Tory HQ at Millbank, and created a real spark that kicked the anti-cuts movement into life. 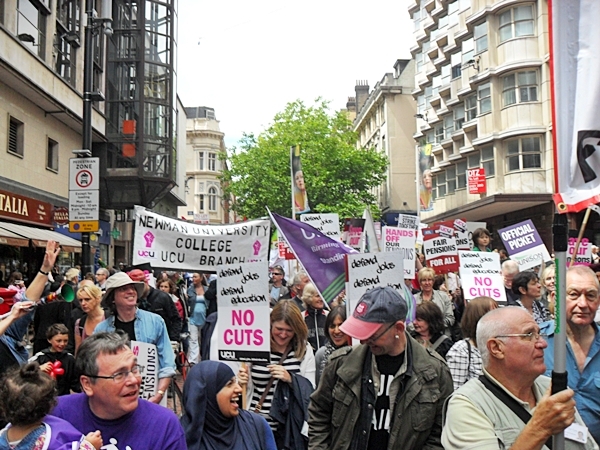 Although the demonstrations did not prevent tuition fees or fully prevent EMA from being scrapped, they came close, provided inspiration for the wider anti-cuts movement, and showed us that there is a whole new generation of polticised young people. 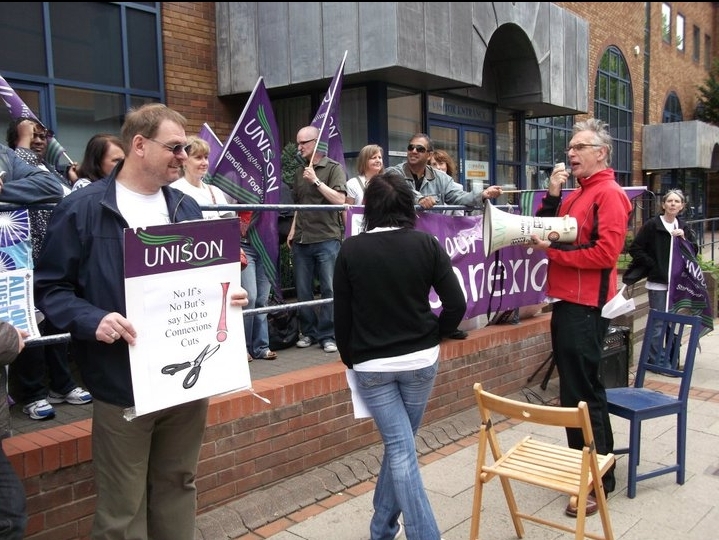 Attacks on education continue with privatisation being the main theme at the moment, as free schools (and academies as a first step) in primary and secondary education, and through increased tuition fees, emphasis on marketisation and encouragement of private universities in higher education. 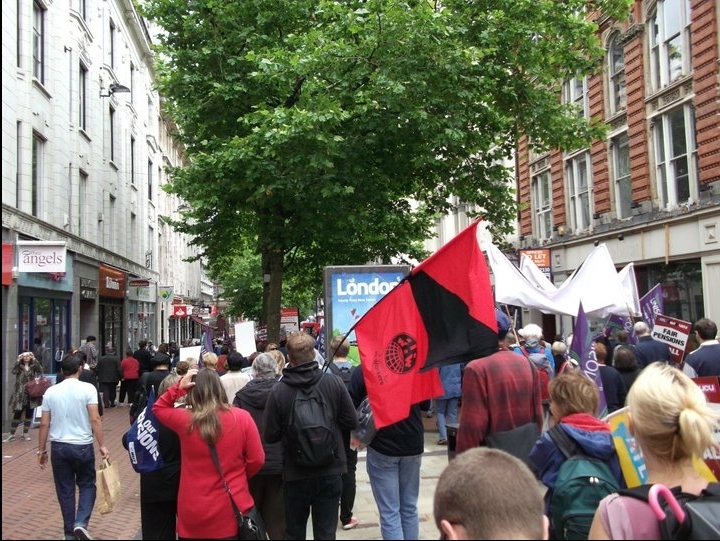 To fight against these threats, NCAFC called a national demonstration. 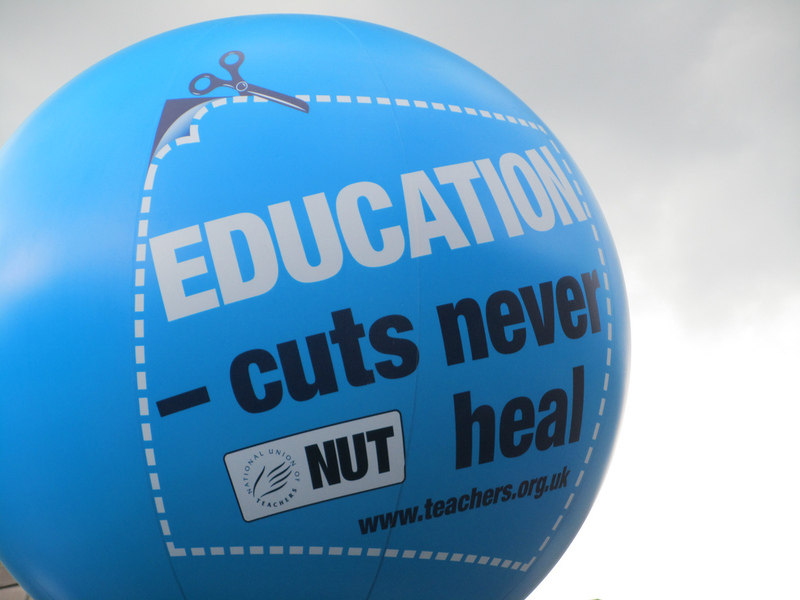 This was quickly backed by the Education Activist Network and School and FE Students against the cuts (who have called for nationwide walkouts by school students on that day). 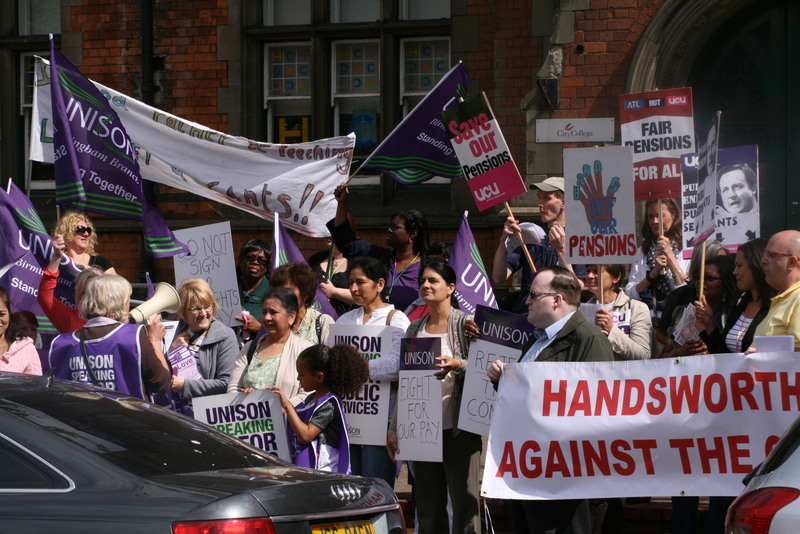 Since then, the NUS has backed the demonstration, and it has received the support of various trade unions. There will be coaches running from Birmingham. Details of the coaches are to be confirmed, but it is expected they will cost £5-£10. If you would like more info, or to book a place call or text 07988 056 867. 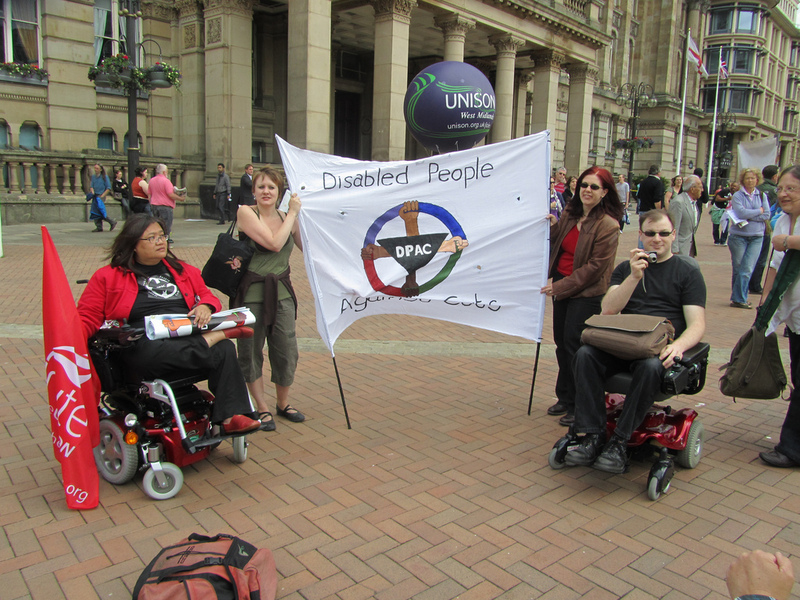 There are coaches available for students being run by University of Birmingham Guild of Students, and a coach from Stop Fees and Cuts in Birmingham which is available to anyone. 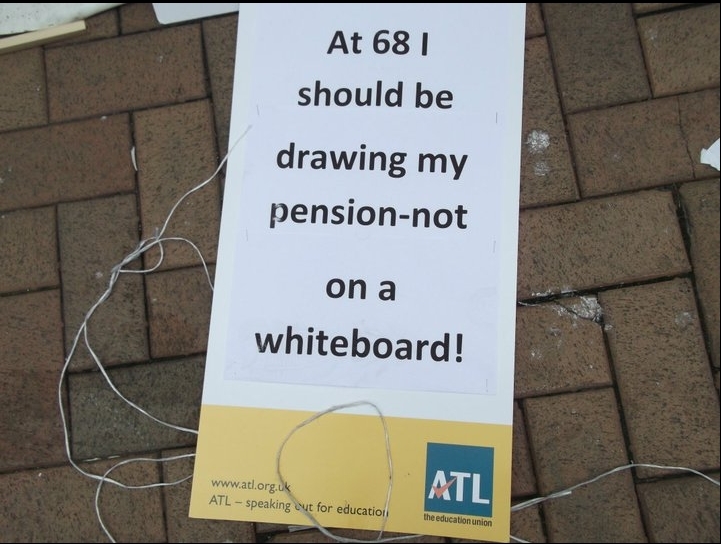 We would encourage workers to join the students in solidarity and a recognition that their struggle is our struggle. 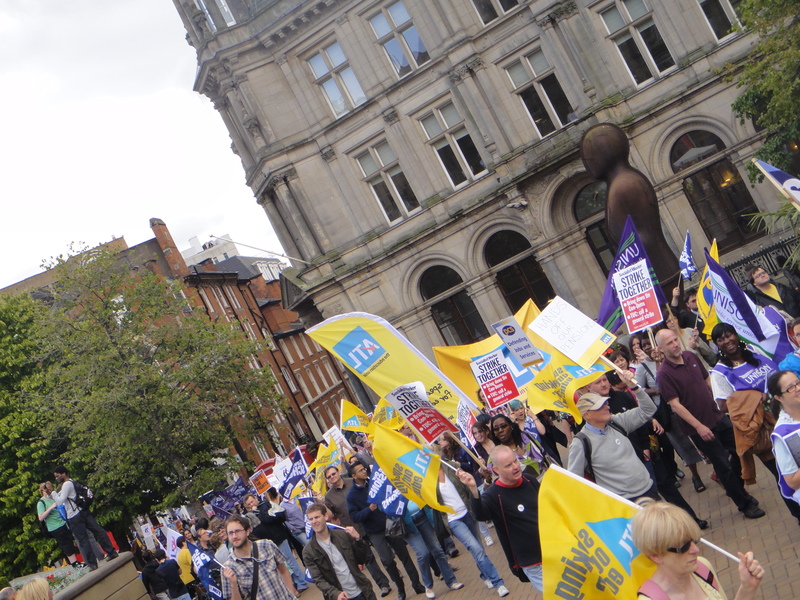 One of the most common chants at the student demos last year was “students and workers, unite and fight”. We know it’s on a Wednesday, but if you can book the day off and go along, it would be great. 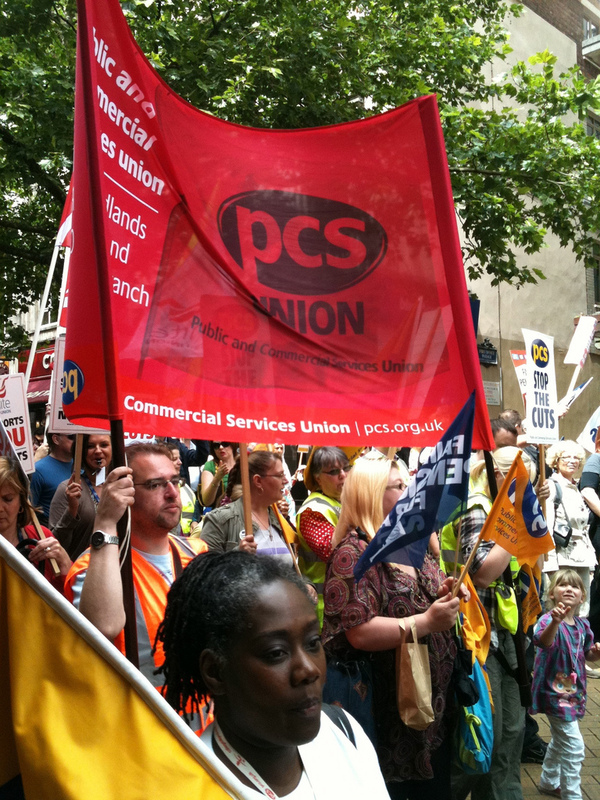 Even better, book the week off and go down to London on the 5th for the Youth Fight for Jobs Jarrow Recreation March London demonstration, and stay there for Wednesday’s action, spend a couple of days sight seeing or visiting friends. Along with two other activists, he was held in police cells over the weekend, and was then held on remand for a further seven days before being released on bail on Monday 26th September (the other two activists were released on bail by the magistrates court on Monday 19th). 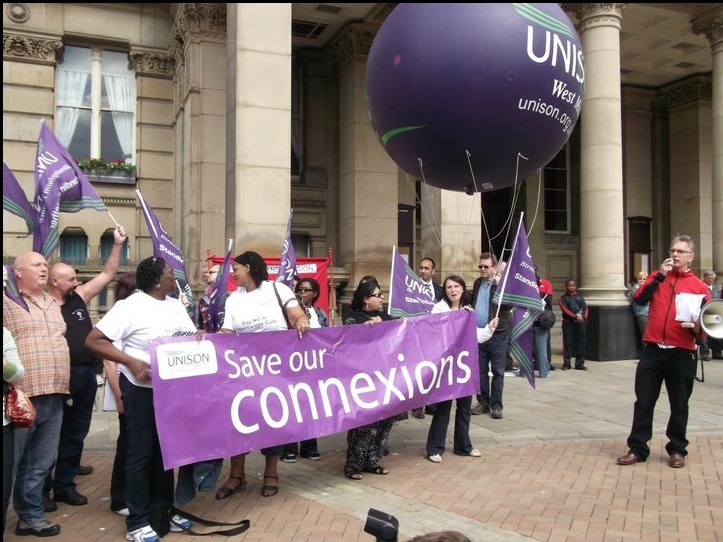 On Wednesday 12th October, from 1pm-4pm, there will be a demonstration in Mermaid Square, Guild of Students, University of Birmingham, calling for Edd to be reinstated and subject to a democratic process with the possibility of him being removed from office, just as he was democratically appointed to the office. 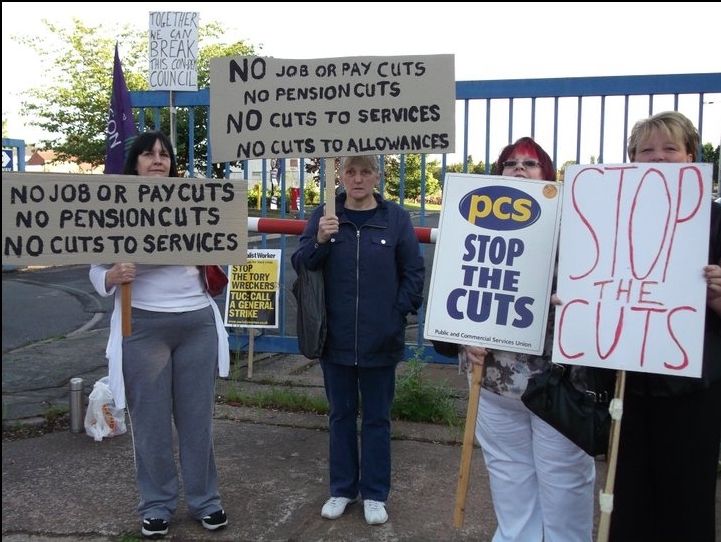 This is also an issue for anti-cuts campaigners. Edd is being attacked by the university because he has been so active in campaigning on campus against tuition fees (David Eastwood, the vice-chancellor, sat on the Browne Review which decided that £9,000 fees were the right way to go), course cuts, job losses and real-terms pay cuts at the University of Birmingham. 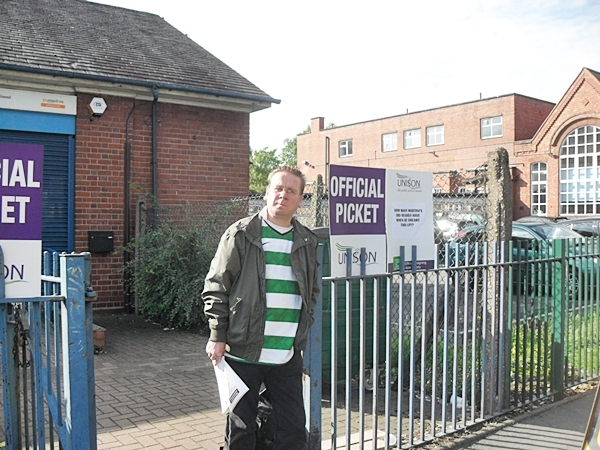 He has also been active in the struggle against cuts outside of the University. It is important that anti-cuts activists in Birmingham come to this demo in solidarity with Edd, to help defend him against these attacks. If you are on Facebook, attend this event and invite your friends.